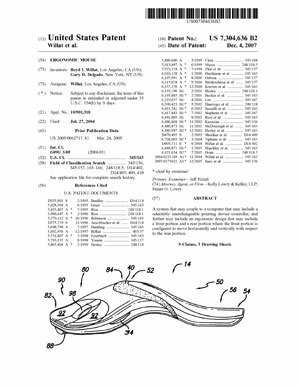 Utility Patents cover inventions or discoveriess of new and useful processes, machines, articles of manufacture, or compositions of matter, or any new and useful improvements thereof. Design Patents cover new, original, and ornamental designs for articles of manufacture, and last for 14 years from the date of grant. Plant Patents. An inventor who invents or discovers and asexually reproducts a distinct and new variety of plant may obtain a plant patent. 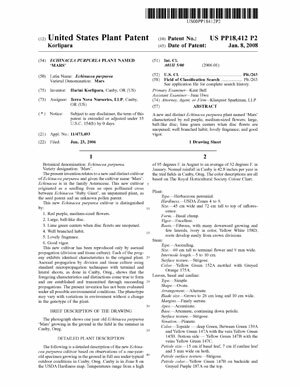 Plant patents cover cultivated sports, mutants, hybrids and newly found seedlings, other than a tuber propogated plant or a plant found in an uncultivated state. Basically, a utility patent covers how an article is used and works, while a design patent covers how an article appears. Looking at an actual patent application should clarify the differences between utility patents and design patents. U.S. Patent No. 7,304,636: A system that may couple to a computer that may include a selectably interchangeable pointing device controller, and further may include an ergonomic design that may include a front portion and a rear portion where the front portion is configured to move horizontally and vertically with respect to the rear portion. U.S. Patent No. D439,253: The ornamental design for an ergonomic mouse, as shown and described. 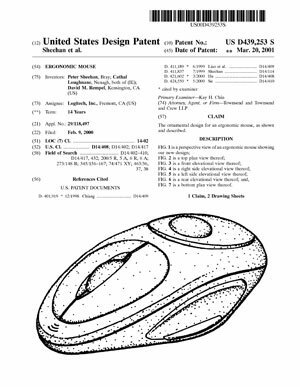 Both patent applications are for ergonomic mouses. The illustration on the left is for a utility patent on an ergonomic mouse. This patent covers a system for reducing repetitive stres injuries among computer users and details how the mouse functions. In contrast, the illustration on the right is for a design patent on an ergonomic mouse. It covers the design or look of the mouse, and does not offer a new invention in terms of ergonomics or reducing repetitive stress injuries. U.S. Patent No. 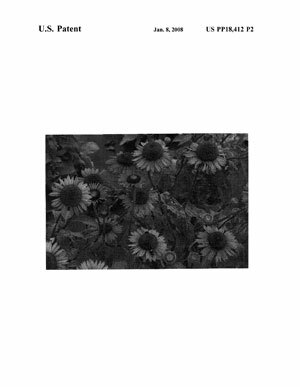 PP18,412: A new and distinct Echinacea purpurea plant named `Mars` characterized by red purple, medium-sized flowers; large, ball-like disc; lime green centers when disc florets are unopened; well branched habit; lovely fragrance; and good vigor. Here's an example of a plant patent for an Echinacea purpurea plant named "Mars," which originated as a seedling from an open pollinated cross between Echinecea "Ruby Giant," and unpatented plant, as the seed parent and an unknown pollen parent. An inventor may not obtain a patent for a mere idea or suggestion. Instead, the applicant must completely describe the actual machine or invention. Additionally, the invention that an inventor seeks to patent must be novel and non-obvious.